This is a sketch book entry from September 1999. 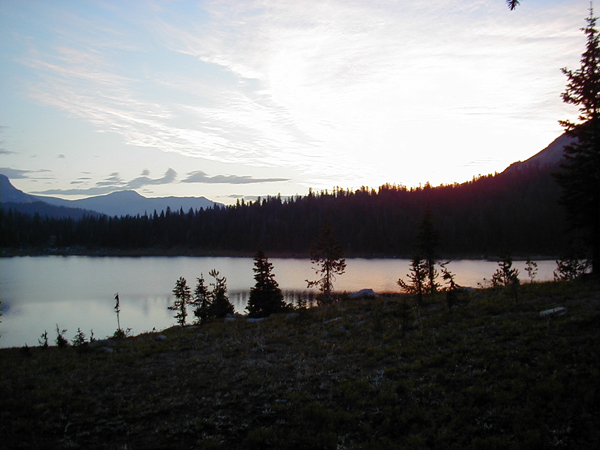 I was on a fishing trip with my x-father in law, x-bother in law and on the way to meet my x-business partners and some friends in Nye Montana for a backpacking trip north of Yellow Stone Park in the Absaroka-Beartooth Wilderness. One of the most beautiful places I’ve ever seen. I look forward to returning soon. The picture below is a sunset shot from my camp site at approx 11,000 feet elevation.